There are several events this year in and around Lexington, MA. 1. Science Discovery Museum: Tuesday, December 31 from 12-3pm at 177 Main Street Acton MA 01720. Make some noise this New Year’s Eve! Construct your own noise makers to use as you celebrate the coming of a new year. Help us count down to 12 (noon) with a dance party with special guest Bessie! 2. Fenway Park: Tuesday, December 31 from 5-10pm. The Boston Red Sox will introduce their first "New Year's Eve at Fenway Park," an ice skating and sledding event for families and children. Tickets are on sale now at redsox.com/newyears at $40 per person. The event is part of Citi Frozen Fenway, a 17-day period in which the ice rink will serve as host to a variety of skating and hockey events. Fans can select a specified half hour to skate when they purchase their tickets (subject to availability) but are welcome to come to the ballpark at anytime from 5-10 p.m. to enjoy the festivities. Ticketed patrons will have access to the new 'Monster Sled' throughout the night. The State Street Pavilion Club and EMC Club will provide areas of warmth and comfort, including free hot chocolate for kids. In addition, groups of up to 22 people can make separate arrangements to celebrate, skate, and have dinner in a private suite that looks out over the ballpark. To book a suite, please call 617-226-6888.. The World Series Trophies of 2004, 2007, and 2013 will be on display on the field and available for photographs. Fans are also invited to come down and take pictures on the warning truck and in the dugouts. Traditional ballpark fare will be on sale at concession stands in the temperature-controlled Home Plate Concourse. The event is the first at Fenway Park in which skating and sledding are open to all of New England. MBTA riders should note that there will be no fares after 8pm on New Year's Eve. Please bring family and friends to Lexington’s 10th annual Christmas Eve Caroling event! 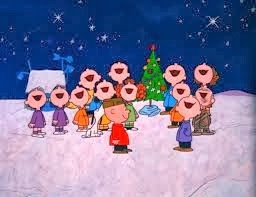 As always, caroling will take place from 4:00 – 4:30 pm on December 24, 2012 at the Hastings Park Bandstand in Lexington, which is located at the corner of Massachusetts Avenue and Worthen Road. Join in this town tradition that is enjoyed by several hundred residents and neighbors each year who gather to sing an assortment of traditional and favorite carols. Children will be invited up onto the bandstand with the musicians to ring bells to the final song - Jingle Bells, of course! Song sheets, hot chocolate, and cookies will be provided to all! Please bring your own candles or flashlights. If gas logs aren't in your budget and you use your wood burning fireplace often during the winter, have it cleaned and inspected before winter. Burning wood releases volatile gases that cool and condense on the inside of the chimney, forming sticky, smelly, highly flammable creosote. Allow enough of it to build up, and you run a risk of a chimney fire. Also make sure the damper is working properly and that the chimney is capped with screening to keep out critters. Yes, it's a tedious job, but washing the windows inside and out twice a year--spring and fall--rewards you with sparkling views, unobstructed light, and the opportunity to check for cracks and damaged caulking. Use a commercial window cleaner or make your own by mixing 1/4 cup of white vinegar with 1 gallon of water. Newspaper makes the best "cleaning rag" because it's absorbent and won't leave lint, but wear gloves to protect your hands from the newsprint. According to the U.S. Department of Energy, 10 percent of the air that leaks out of a house exits through the windows. 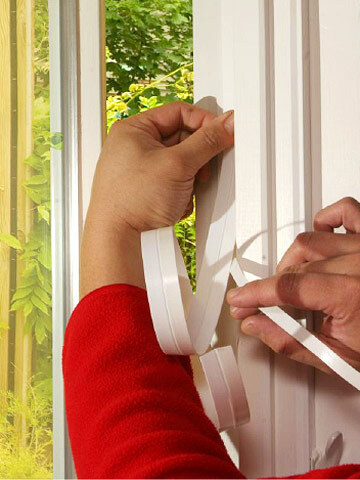 Caulk around window frames and apply weather stripping between the sash and window frame to eliminate air leakage. Tension seal and magnetic types of weather stripping are durable and effective for double-hung windows. For casement and sliding windows, apply self-adhesive V-strip weatherstripping to the side of a clean, dry sash or window jamb. Measure the length you need, cut the V-strip to fit, then peel off the paper backing while pressing the strip in place. Changing the furniture arrangement is an easy way to give your rooms a new look and feel for the winter. 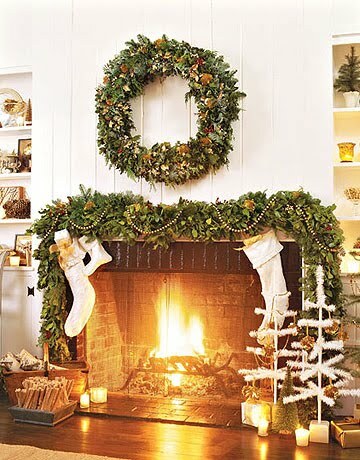 Pull seating pieces close to the fireplace to create a cozier mood, and bring out soft chenille or fleece throws to ward off the chill. Set up a new display on the mantel to create a wintertime focal point--dark colors and layers of objects supply rich texture that adds increases the cozy factor. Some homeowners keep two sets of slipcovers, white for summer and a dark, warm color for winter. Install storm windows to reduce air leakage year-round. You can find storm windows with vinyl, wood, or aluminum frames and glass or plastic panes. Glass is heavier but longer lasting and clearer than plastic, which scratches easily and yellows over time. Interior storm windows are generally mounted inside the window jambs or flush with the molding. They're easy to install but must be removed when you want to open the windows to let in fresh air. An exterior double-track or triple-track storm window is permanently installed on the outside of the window, and the lower half of the window moves in a separate track from the screen so you can lower or raise it to control air flow. Whether your gutters have become roofline planters like this one or have simply accumulated a season's worth of fallen leaves, get them cleaned out before winter rains and snows arrive. After scooping out leaves and debris, flush the gutters and downspouts with a strong stream of water from a hose. Make sure the gutters fit snugly against the house and repair any cracks or damage. Many companies offer leaf guards that claim to prevent leaves from collecting in the gutters, but most don't keep out dirt, debris, and seeds, so you'll still have to flush them out. Experts recommend replacing the batteries in smoke alarms twice a year, and if your smoke alarm is between 5 and 10 years old, replace it with a new one. There should be at least one smoke alarm on every level of your house and one in or near each bedroom. Safety experts recommend similar placement for carbon monoxide detectors--high on the wall, one on every level of the home, and near bedrooms. Where NOT to put them: within 15 feet of gas appliances, furnace, or fireplace because these give off small amounts of carbon monoxide when they're first turned on and would trigger false alarms. Call an HVAC professional to check the fan belt that runs the blower, vacuum out dust and debris, and oil the bearings if necessary. Buy enough filters to see you through the winter months and change them monthly--when filters become clogged with dust, the furnace doesn't operate efficiently and your energy bill goes up. Set the thermostat at 68 to save on energy costs, and consider replacing a manually controlled thermostat with a programmable one. This allows you to set the temperature at a comfortable level when you're in the house and cut it back to a cooler level when you're at work. Used properly, programmable thermostats can save up to $180 a year on heating and cooling costs. Conventional storage water heaters use energy to keep the tank full of hot water at all times; a tankless heater provides hot water only when you need it, which requires less energy thus saving you money. Whole-house tankless heaters are probably not cost effective for most homeowners--they cost more upfront than storage water heaters, and installation costs are also much higher and more complicated. Point-of-use heaters, however, are small and installed where you use them--at the kitchen sink or in the bathroom--and because they only need to furnish enough hot water for fixtures in that area, they can be efficient, cost-effective, and green. Gas-fired models deliver hot water at a faster rate than electrical models, which require upgraded wiring if they have to do much more than supply hot water to a bathroom sink. To minimize the possibility of water freezing in your plumbing pipes causing them to burst, wrap each pipe in a blanket of foam insulation. Check hardware stores for these foam tubes, which have a slit on one side. Just cut the tube to the length you need, pull the slit open, and push the tube onto the pipe. If the slit doesn't have self-adhesive edges, use duct tape to secure it. Check the attic to see whether you need to add insulation -- experts recommend a depth of about 12 inches. Ultra Touch from Bonded Logic is an eco-friendly, formaldehyde-free insulation made from the scraps and waste left over from the manufacture of blue jeans. It's treated with a boron-based solution to prevent mold and mildew growth, discourage pests, and retard fire, and it won't irritate your skin during installation. advance an implementation package to the Board of Selectmen. ensure that final recommendations are implemented responsibly and sustainably.